In partnership with the AMS, an alumni-led company is bringing “smart lockers” onto campus to improve the commuter experience. Developed by Hwadong Holdings Incorporated, the locker project is now going through a pilot program until the end of April 2019. Currently, there are 19 locker units on the first floor of the Nest that could be accessed with a code through the company’s app. 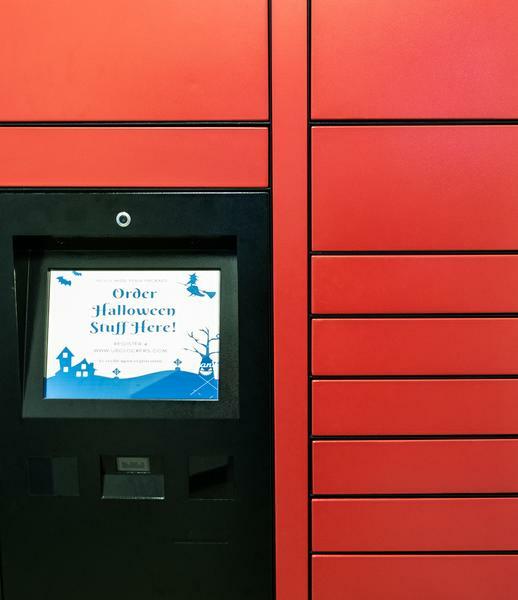 The lockers allow customers to store items on a short-term basis, as well as use them as convenient locations for selling items such as textbooks and receiving packages from online orders. To store items, it costs $0.25/hour for the first four hours and $0.50/hour afterwards. “If you order it here it will never get stolen, you will never have to go to the post office again,” said Seunghwan Son, the company’s CEO and a graduate of the UBC Sauder School of Business. Miguel Testa, a UBC engineering graduate who is behind the company’s tech platform, attributed the idea to the prevalence of smart lockers in Singapore, where Son previously lived. At the same time, they observed that there is a demand for convenient storage space from commuter students. “ … There’s a lot of resources for people in residence already,” Testa said. AMS VP Administration Chris Hakim agreed with the assessment about commuter students’ need for storage. “The AMS recognizes that there is little storage space on campus for commuter students and we are making the efforts to ensure that commuter students are being accommodated for as well,” he said. According to Son, the service has seen “strong attraction” already with almost 100 users signing-up despite minimal marketing. The company is also already partnering with some AMS clubs, such as the UBC Boxing Club and Yoga Club. While the pilot project has just been launched, both the AMS and Hwadong are already looking to expand the service. “We’re looking into different ways to make sure this project is even is able to be further accessible as well to all of our UBC students,” said Hakim, adding that the AMS is not aiming to make money from the project. According to him, one potential addition that they are exploring is allowing customers to access the lockers by scanning their UBC cards. For Testa and Son, they aim to better understand the demand at UBC during this pilot project by talking to constituencies and exploring locations around campus. They are also excited about the potential of the service and its technology. “We see this as the future of delivery,” Son said.